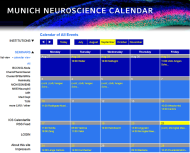 The Jacob laboratory at the Technical University of Munich (TUM) studies the mechanisms of cognitive functions at the level of individual neurons and their brain-wide networks. We are seeking candidates with a strong background in experimental neurophysiology for an open PhD position funded by the European Research Council (ERC). The aim of the project is to characterize the mechanisms that govern the representation, transmission and storage of information in working memory with a particular focus on the interplay of sensory and cognitive brain regions. The project involves heavy use of modern electrophysiological, optogenetic, imaging and behavioral techniques in a rodent animal model to dissect the underlying neuronal circuits and probe the role of long-range, cross-regional neuronal communication in working memory. Candidates with excellent quantitative skills, technical abilities and prior experience in any of the described methods are encouraged to apply. Contact Dr. Jacob simon.jacob@tum.de for more information or email your application including a letter of motivation, a CV and the names of two referees.